So you want to be a Great Leader. A good plan would be to list the skills you need, see where you have gaps, then learn and practice those until you are a great leader. Right? So, you do your research – and you find a list like this one. It’s from the Harvard Business Review, so it’s pretty good! But here’s the problem. You can do all the right stuff in theory, and still be a LOUSY leader. And you can probably mess up some of the things on this list, and if you are willing to learn and improve, you can still be a GREAT leader. So what’s not on this list? What are the things you can do RIGHT NOW, that will make everyone want to work on YOUR team? Here’s what’s on MY list. Say what you mean, and mean what you say. It's that simple. You can’t build TRUST if you don’t tell the truth. You hire SMART people. So why pretend they are stupid and can’t see when there is a problem? Tell people what’s going on. If you don’t know – say that. If you can’t share the information yet – say that. And if you can’t answer them, tell people what you CAN tell them, and when. Be Real. Be the Best version of Yourself. Remember the Emperor with no clothes? Everyone knows when you are being FAKE, they just won’t say anything because you're the boss. If you are funny in person, use some humour. If you love sports, tell a sports story. But find a way to put YOUR personal stamp on your communication. It makes you real. Nothing is more inspiring than honesty. Especially in difficult or awkward situations. Your team will respect you for it. You work with PEOPLE, not robots. Act like it. Get to know your team PERSONALLY. Ask them about their lives. Get to know at least 1 personal thing about everyone on your team! ASK people what their aspirations are. You can’t help them get there if you don’t know what they want. Say Please and Thank you. In person, in emails. Publicly. A little APPRECIATIONand kindness goes a long way! CELEBRATE birthdays, weddings, engagements, babies – any excuse for cake really! EMPATHY goes a long way. Be kind to the person who has a sick mother or child. Cut people some slack when they are going through a tough time. They will remember it and will pay you back with hard work and loyalty for a long time. Take your Work Seriously. But it's OK to have FUN at the office! My team knows I am deadly serious when it comes to delivering results, but boy can we have fun with pranks and jokes along the way! Being willing to LAUGH at yourself is a great equalizer with your team. Having team FUN doesn’t have to cost a lot. Try rock climbing, ping pong tournaments, or escape rooms. Pot luck meals are a great way to learn about each person’s culture. Or a simple pizza lunch can be fun. Change it up! Find out what YOUR team actually wants to do – and just make it happen! Be the Leader Your Team NEEDS – not the One you LIKE to be. Fill the Void. Figure out what your team NEEDS and give them that. Sometimes they need guidance. Sometimes an encouraging coach. Or and extra set of hands to help. Sometimes you just need to get out of the way! Roll up your sleeves and do what’s needed to get the job done. It’s important to address the fact that you have a gap in your employment history when you’re putting together your resume. Gaps are really hard to miss when you’ve laid out your employment timelines on paper in black and white. Potential employers will likely have questions about why those gaps exist, so it’s better to be upfront about the gaps being part of your employment background and that there is a reason for them. In your resume, you can mention in a brief statement (one sentence should suffice) why you have a gap in your employment history, if it’s because you took maternity or paternity leave, you needed a personal leave for a health or family issue, you decided to switch gears and look for opportunities in a different field, you ended up going back to school, or you took time off to travel or pursue another personal interest. Gaps that are due to downsizing or being fired for another reason will likely require deeper explanation during a face-to-face interview, so leaving an explanation until that point is often a good idea. If you have gaps related to periods of contract employment, be sure to indicate that certain positions were term ones in your resume. This helps explain such gaps and the reason for multiple employers or roles within shorter time spans. Did you volunteer or participate in community activities that helped you gain additional skills? When you traveled, what did you learn about other cultures and/or languages? If you took personal time for a health or family issue, what did you learn from that experience? What did you learn about yourself during your time away from work that helped you understand how you work best? Did you stay abreast of industry changes and trends? Did you continue to participate in the finance and accounting industry in some way (for example, through social media sites like LinkedIn)? Did you accomplish a goal while you were unemployed? In what ways did your period of unemployment make you stronger? If you participated in volunteer or community work, consider creating a section for this in your resume and describe what you did and how it helped others. If you were unemployed because you went back to school, ensure that you include any certifications/designations/courses completed in your resume. Read: “How to Avoid Leaving a Recruiter with Questions about Your Resume” for more ways to beef up your resume. Understanding how to present the reasons for your gaps in employment can empower you to get through an interview with confidence and poise. It’s crucial that you be prepared to answer the questions that will likely come up in regards to your resume gaps. Make a list of the things you learned or developed over the course of your time away from work. How can these experiences and/or skills be applied to the position for which you’re interviewing? Ensure your answers are brief and clear. Note, however, that employers are prohibited from asking personal questions that are not related to qualifications and job requirements needed for the hiring decision, based on standards set out in the Ontario Employment Standards Act. 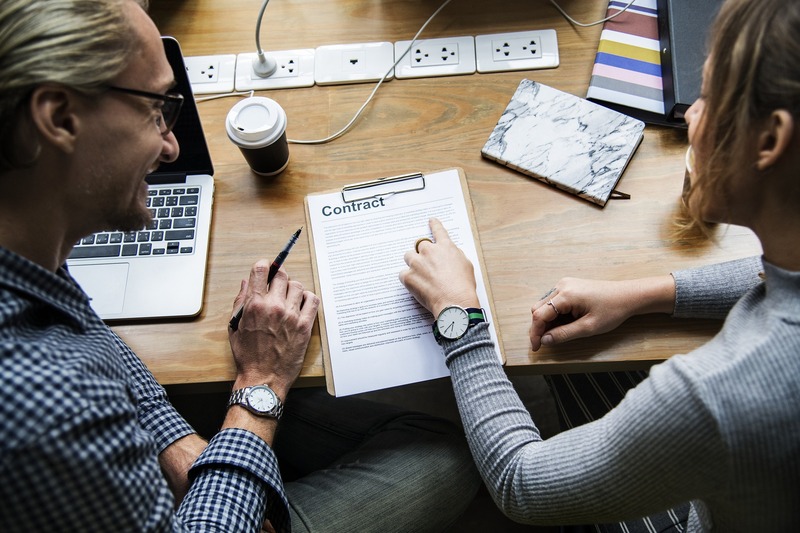 This means that you can offer information as it directly relates to your work history, but no personal information beyond that is required to be shared by you or asked about by the interviewer. If your resume gap was the result of downsizing at your previous employer, explain the circumstances that led to the downsizing, including details such as how many other people were laid off at around the same time that you were. Be clear about what you were able to accomplish during your time there, using the S.A.M. method – what you saved, achieved, and/or made. You can also talk about what the experience taught you and how you’ve grown from it. However you choose to explain your resume gaps and present what benefits came out of your time away from work, make sure you do it by being straightforward, positive, and confident. Read: “How To Talk About The Gap In Your Work History” for more insight on discussing time taken off from work. Having gaps in your employment history doesn’t mean you won’t get the job. Be honest about why you weren’t working for a period of time. In your resume, briefly note why there are gaps. It’s best to have a face-to-face talk about gaps due to downsizing or being fired. Ensure you indicate in your resume any contract positions you’ve held. Include in your resume any skills you gained while taking time off. Consider adding a volunteering/community activities section to your resume. Be prepared to answer interview questions about employment gaps you have. Present yourself confidently and discuss resume gaps in a positive light. Be clear with the interviewer about why you have employment history gaps. Share how you grew professionally or personally during your time off. GGGOOOOOOOOAAAAAALLLLLLL! The FIFA World Cup is underway, and whether you’re a soccer fan or not, it’s hard to deny the excitement brought on by watching a match. The way players interact with one another, the common goal they’re trying to reach, and the energy of the fans are all major reasons why the sport is enjoyed by billions of people around the world. Although finance and accounting work isn’t something the public is watching intently like a professional soccer match, there are several lessons from the sports world that can be learned and applied to the building of a strong, confident, and winning finance and accounting team. 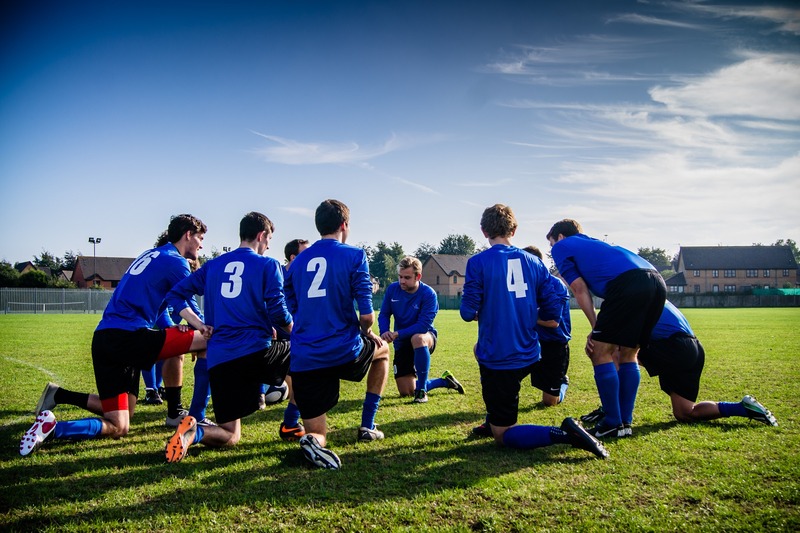 Successful soccer teams are built on the understanding that, while there may be more popular or more highly skilled team members, it’s important to focus on how the team works as a whole. Working with the strengths of each player helps determine where on the field they should be and what position will best suit them. This can easily be applied to the finance and accounting world. Having a diverse team that offers a variety of strengths is an asset, and being able to leverage these different strengths to complete various tasks and reach certain goals will serve the company much better than simply focusing on one or two people who are considered stronger team members. When everyone is given an equal opportunity to shine, it creates a more supportive, team-like atmosphere. On the pitch, putting all of the effort into training and developing one or two star players could backfire if they all of a sudden are injured or are unable to play. Coaches are then left with a team that perhaps hasn’t been given the same attention as the star players, and the result could likely be a team that simply doesn’t know how to work together well. This is a scenario that could very easily occur in any finance and accounting team that hasn’t been fully developed. If one or two finance and accounting team members are considered more important and have had the majority of development opportunities, should they choose to leave or have to take time off for personal reasons, the rest of the team might not have the tools necessary to pick up the slack. 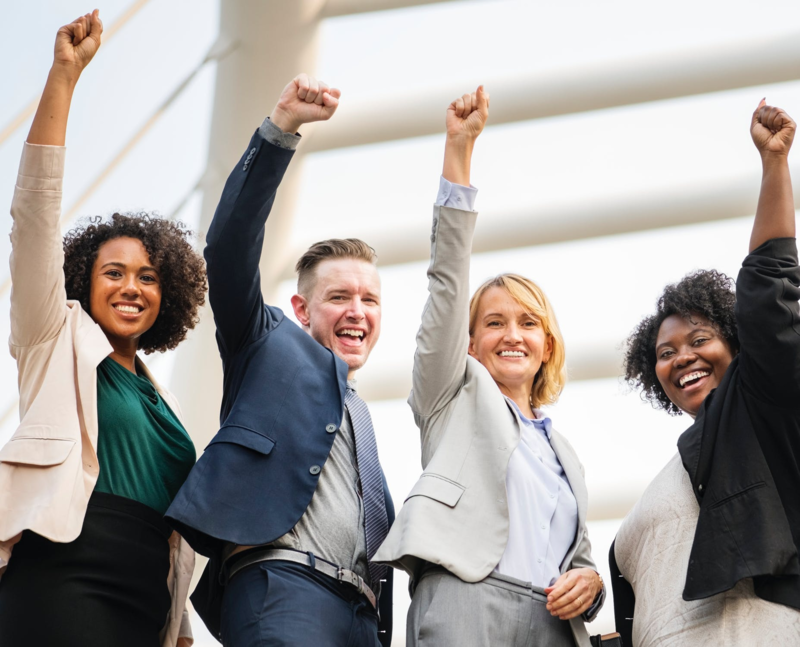 Focusing on all team members equally, and taking advantage of their diverse needs and skills, ensures you have a more flexible team that can work as one, even if one or two members are missing or aren’t performing their best. Read: Hungry for more sports examples? Check out “How to Build a Finance Dream Team” for some comparisons between an NHL hockey team and a finance and accounting team. This well-known phrase speaks to all kinds of teams, and can benefit soccer teams and finance teams alike. Individual team members need to practice their skills to ensure they’re sharp, but it’s also important for teams to practice working together. Building communication skills, expanding knowledge of programs and processes, and learning how to deal with both losses and wins are just some of the things teams must learn to do together. Practice requires discipline. Just as soccer players must commit to a training regimen, finance and accounting team members must be willing to do what it takes to reach the team’s goals. That could mean carrying out certain tasks over and over until the results are where they need to be, or working to establish processes and procedures that will increase efficiency, for example. Adaptability is also an important aspect of practicing. A soccer team might practice certain strategies consistently and know them perfectly off of the pitch, but once they’re really in the game, what happens when the strategies don’t work as planned? 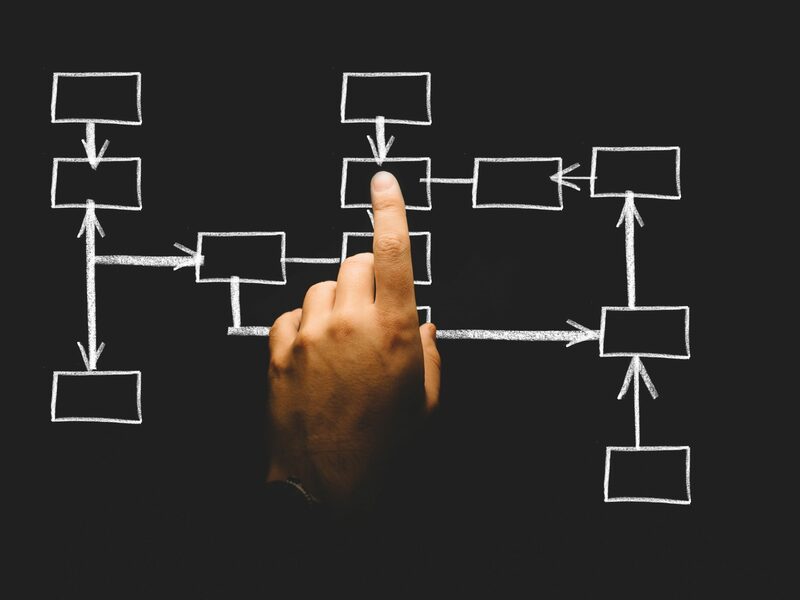 In the finance world, when a team thinks it’s solidified a process or timeline, and then something goes awry, it means everyone needs to go back to step one and identify a new plan of attack. Read: “5 Factors That Separate Great Teams From Good Ones” to learn what else you can do to make your team shine. Pointing fingers when facing a loss doesn’t help to solve anything, whether you’re a soccer team or a group of finance and accounting professionals. Instead, banding together and coming up with solutions to problems will help the team move forward and hopefully succeed the next time around. When everyone on a team accepts that they are all equally responsible for the team’s successes and failures, it means that when one team member falters, their teammates will be there to help them back up. Members of successful teams rely on each other, and also understand that they must be willing to reciprocate the respect and support offered by their teammates. Part of feeling accountable to a team is being committed to the overall goal or vision. Soccer teams want to win games and go on to win entire championships. Finance and accounting teams want to work effectively and efficiently, meet deadlines, and reach targets that have been set out for them. Read: “Tips from Toronto Recruiters – Being a Team Player” for more insight on what characteristics help members contribute best to teams. Out on the pitch, soccer players need to know what their teammates are doing. No one can read minds, so communicating clearly is important when working towards a shared goal. Having open communication lines and learning how best to communicate with one another allows for mutual understanding and prevents any surprises that could cost a team their win. In a finance and accounting office, communication is essential to ensuring mistakes are avoided and that everyone is doing their part to reach the team’s goals. Members of successful finance and accounting teams understand that following up with others is part of good communication practices rather than a micro-management issue, and that keeping each other informed is crucial to keeping projects on track. Each team member has something to bring to the table. Avoid focusing on one or two team members only, at the detriment of others. Team members should be willing to fill in for one another. Take advantage of each team member’s unique skills. Teams need to practice constantly to be their best and learn from mistakes. An adaptable team uses what they learn from losses to earn future wins. Everyone on a team must be held accountable for successes and failures. Commitment to a common goal helps team members feel accountable. Communication is important in avoiding mistakes and knowing what to do next. Successful teams strive to communicate as much as possible. Team members must learn how best to communicate with one another. Some entrepreneurs can be spotted a mile away. 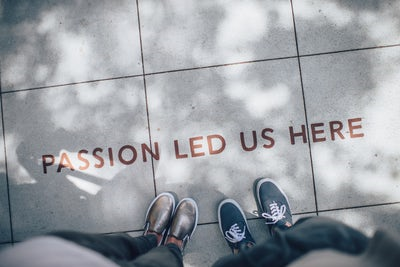 The forceful passion and undiluted energy they convey with every word gives these daring self-starter away even before they explain their entrepreneurial inclinations. Ali Pourdad isn’t like that - at least, not outwardly. When I sat down with Ali to chat about his innovative lending agency, Progressa, his attitude was calm and measured. Still, there’s a quiet intensity about Ali that hints at the entrepreneurial genius within. You get the sense that Ali spends a lot more time listening and thinking than talking, but when he does speak, it’s worth paying attention. He might seem quiet and restrained, but his ideas are bold and limitless. Ali started with what many viewed as an untenable business concept – certainly, the major banks seem to. Progressa responds to a growing debt problem in Canada. We’re in a recursive cycle: debt grows, banks tighten lending requirements, more people have more debt, and so on. Progressa fills the gap, bringing debt solutions to people who would otherwise have no way of recapturing their financial freedom. So how does a cautious, calculating accounting professional solve a problem that is seemingly so risky that the banks aren’t interested? Did he implement some clever new way to leverage mobile tech and machine learning, or some other buzzworthy technological marvel? No. Well, not at first. Progressa leverages clever tech to connect them with the right clients, but Ali didn’t bring in the data scientists or technologists until Progressa had been picking up steam for two years. Instead, Progressa began with a core competency. Building a solid team, erecting an infrastructure to support them, and developing their skills and capabilities to create a competitive edge; it’s much less expensive than investing in proprietary tech, especially at the inception stage when cash flow is the tightest. Ali is systematic, focused and organized. Big ideas are broken down into small, sensible steps, and risks shrink from there. This started with his network. Throughout his years on the 15-to-18-hour-a-day treadmill of accounting, he gained friends and mentors who could provide exactly the sort of insight needed to lend stability to his vision. Ali still considers his time as a chartered accountant one of the most important assets in his entrepreneurial journey. “I still consider myself a CA today,” he assures me. There’s a reassuringly metered calmness to the way Ali explains the inception and growth of Progressa, but so much of his serenely rational approach hinges on his work ethic. “I don’t think you can teach work ethic; I think you can observe it from outside,” he tells me. Ali believes that a solid work ethic comes from surrounding yourself with irrepressible professionals whose actions and attitudes can be emulated and internalized through immersion. And once you get going, there’s no stopping. All this hard work is staggeringly effective. Most entrepreneurs, business owners – even middle-management professionals in stable corporate environments – have the same sort of reaction when you ask them if they’d do anything differently, given the opportunity to start over. Not Ali. It’s a bold statement expressed with calm conviction. Ali’s research, networking, and systematic approach have created an excellent roadmap. The work ethic and the results are familiar, but everything else about Ali’s calm, calculated approach deviates from the go-get-‘em paradigm we’ve come to expect of entrepreneurs. All the pieces are the same – the networking, the time management, the team-building, and the iron will – but they’re executed so differently they appear foreign when Ali outlines his journey. There’s no one way to succeed as an entrepreneur, and Ali is an invigorating reminder that no single type of person owns the rights to entrepreneurship – and that hard work, strong ideas, and systematic problem solving can have the same impact as big ideas and big money. There’s another side to this particular coin, though, as Ali reminds me. Ideas and hard work are nothing without the sort of meticulous planning a CA can bring to the table. “If you look around British Columbia, I’m sure there’s gold under these mountains – but that doesn’t mean it’s viable to go and mine it.” Planning is the difference between a targeted mining operation, and a group of men roaming the province with dynamite and high hopes. What of the other 99 business plans? Most exist only as documents somewhere on Ali’s computer. That doesn’t matter now: he’s realizing his vision and potential in Progressa. Even so, Ali hesitates for the first time in our conversation when I inquire about that vision, and where it leads. This isn’t a concern for Ali. His passion for his customers and his team, as well as his guiding principles and ethics are already paving the way for future success, and for the financial success of those whom he offers a second chance. “Companies all over Canada are starting to realize ‘No, Progressa’s different,’ ” Ali tells me. He knows that he has something here: a way to help strengthen Canada through its most financially vulnerable. Thanks to Ali Pourdad for taking the time to sit down with me and have a conversation about Progressa, entrepreneurship, and his journey. Shane Gagnon is the Director of Clarity Recruitment Vancouver, with six years of experience in the industry. 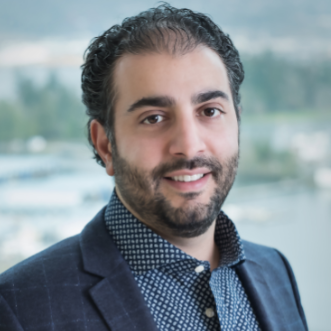 This is his personal blog, where you can expect to find not only insights from his endeavour to disrupt the recruitment industry, but also a glimpse into his pursuit of a satisfying career for himself and the finance/accounting professionals of Vancouver. Join Shane for each new post, as he reveals the journey that brought him here, and where he plans to go next. Do you remember when you were first starting out in your industry? You were likely a little overwhelmed, trying to learn everything you could as quickly as possible to feel like a valuable contributor to the team. You probably asked many questions and felt like you would never catch up to those who had more experience than you did. You might also have approached someone you looked up to and asked them to provide you with insight and feedback in the form of a mentoring relationship. Mentoring is a valuable tool for those who are looking to learn from others to help them progress in their careers. But what about the mentors themselves? What does providing insight and feedback offer to those in a mentor role? Let’s be honest, having someone look up to you and respect you enough to want to learn from and spend time with you can be very flattering. A mentee will likely have many positive things to say about you and your career and hearing such praises can certainly heighten your self-esteem. Another aspect of this is how mentees can provide some perspective on just how much you’ve accomplished in your career. Day-to-day work and shorter-term projects can sometimes prevent you from seeing the big picture in terms of how far you’ve come in your career since you first started out. Mentoring someone else can help you realize how much you’ve learned and achieved, as well as how much you have to teach others. Read: “Mentors and Coaches, Pt. I” and “Mentors and Coaches, Pt. II” for more information on why mentors are important, and how they differ from coaches. Sharing your knowledge is one of the major reasons you should consider becoming a mentor. You gain a tremendous amount of experience and skills throughout your working life, and what good is it all, really, if you keep it to yourself and take it with you once you retire? Allowing others to benefit from your knowledge and passing the torch, so to speak, provides you with the opportunity to give back to your industry in a big way. Mentoring is also an important strategy when it comes to retaining great employees, particularly millennials. Most employees want to receive feedback about how they’re performing and what they could do better. Providing such feedback can show that you value your team and can keep them invested and interested in the company. Read: “How to be a Mentor that Makes a Difference” to learn more about how to be an effective mentor. You might not have considered this, but did you know it’s possible to learn just as much as a mentor as it is to learn as a mentee? Having two-sided conversations with your mentee can actually help you see things from a new angle, and possibly teach you new things about your industry from someone who has recently learned the most up-to-date standards, strategies, and trends. Mentoring also helps a mentor to strengthen or develop a variety of their own skills, including leadership, teaching, recruitment, and management. By providing feedback, helping to solve problems, and guiding a mentee on their career path, mentors learn more about themselves and their industry. Read: “Mentoring Myths that are Hurting Your Finance Team” to learn what mentoring really offers and how to avoid falling for mentoring myths. Relationships are just as important in the working world as they are in your personal life. Mentoring someone can offer a meaningful experience through building a relationship of trust and understanding. Helping someone to grow and succeed can be an extremely gratifying way to spend your time and knowing that you made a difference in someone’s life can leave you with a real sense of accomplishment. You might also find that building a relationship with your mentee opens doors to new connections in your industry, and perhaps even in other industries. Chances are that your mentee can grow your network, just as you can grow theirs. This is another added bonus to doing meaningful mentor work. Read: “Why Being A Mentor Is Worth The Effort” for insight into the effects of mentorship on a mentor’s career. 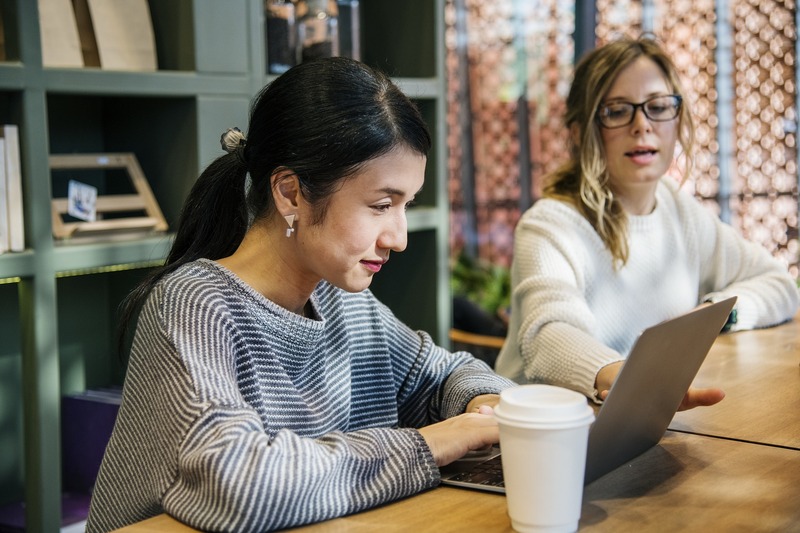 Although mentoring is a volunteer-based activity that normally doesn’t provide monetary or career gains directly, there are often indirect effects that can benefit both mentors and mentees. “Both mentors and mentees were approximately 20% more likely to get a raise than people who did not participate in the mentoring program. Read: “How Becoming A Mentor Can Boost Your Career” for more ways you can benefit from being a mentor. Be a nice ego boost. Provide you with perspective on your own accomplishments and skills. Assist mentees and the company in general. Help retain employees, especially millennials. Help you develop or strengthen your own skills. Introduce you to new contacts in the industry or other industries. Sometimes lead to pay raises or promotions for mentors. Let us know what you think! At Clarity Recruitment, we’re always interested in hearing from accounting and finance professionals like yourselves, who are ready for new, exciting opportunities that can take their careers to the next level. And be sure to follow us on Twitter and connect with us on LinkedIn and Facebook for more great tips and advice. I sat down recently with Dan Sutton of Tantalus Labs, a Vancouverite and entrepreneur who’s committed to disrupting the cannabis industry. 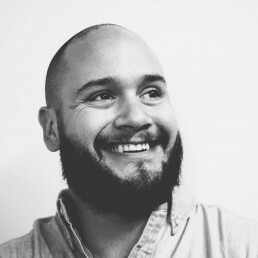 Like most people driven by an intense passion for positive change, Dan is the gregarious, outspoken sort. He never sounds like he’s holding anything back, because he wants you to understand his industry and his passions the way he understands them. But what are his passions? What is it about cannabis production that makes this 32-year-old so dead-set on revolution? Is it just about making British Columbia feel a little more relaxed? Maybe in part. Dan sure is committed to growing the sort of B.C. bud that will become the international standard for quality. But there’s a more classically British Columbian explanation for his passions: cannabis production is dominated by an “outlaw culture,” as Dan sees it. Grow-ops in warehouses consume egregious amounts of power and resources, and it isn’t sustainable. Traditional growing methods come with an ecological price tag that’s not in keeping with what British Columbia is all about. Greenhouses are the future – they’re more sustainable, and they lend themselves to a better product. As Tantalus’s website sensibly states, “It's simple. Would you grow tomatoes in a closet?” Changing the cannabis industry is Dan’s mission, but it hasn’t been an easy one. Dan is a B.C. boy at heart. Vancouver born and raised, he studied economics at the University of Victoria just in time to graduate into the 2008 recession. Even so, he started out as a financial analyst – though he quickly realized there was something bigger out there, waiting for him. But when he started networking, reaching out to friends, parents, friends of parents and so on, he heard the recession reverberating back in his ears everywhere he went. Dan didn’t care. The first step in entrepreneurship is learning to take a beating without bowing your head. “If you get to the end of the conversation and they say ‘I can’t help you,’ you say ‘Give me the names of three people who can,’ ” Dan says of the irrepressible pursuit of his early goals. Dan is careful not to speak in sweeping generalizations; he talks instead of his observations – though of course, these observations come from six years of experience building Tantalus Labs, and a history of determined pursuit of entrepreneurial objectives. Waking up early, for instance, is a characteristic he notes in most successful entrepreneurs. It’s not necessarily a requirement for success, but Dan doesn’t seem to know of any entrepreneurs who sleep in – not that Dan has a typical definition of ‘sleeping in.’ His predetermined sleep-in days afford him the grand luxury of a 7:30 a.m. wakeup call. If this is starting to sound like the typical story of a motivated entrepreneur with an iron work-ethic, that’s no coincidence. A lot of the traits of successful entrepreneurs are battle-tested and well known. But the world is shifting, and entrepreneurship acutely sensitive to the waves of technological and social developments that seem to approach tsunami-level impact. Phones and laptops are an incredible resource, for instance. For a lot of us, they can be a persistent distraction, but you won’t catch Dan playing Angry Birds while he waits for the bus. It’s not that he denies an electronic addiction, but he’s addicted to information. Dan’s phone is a portal to unyielding productivity. I don’t blame him. Structure and organization are critical to someone juggling as many priorities as Dan, and having a way to manage his tasks and keep the organized mess from turning to abject chaos is a privilege he doesn’t take for granted. The fact that the tool that allows for this level of organization fits in his pocket is a bonus. Dan is a big proponent of a ‘first principles’ approach to entrepreneurship. He’s a philosophy fan, particularly well-versed in the classic Greek thinkers who devised systems of logic and reasoning that would shape the way humanity thought for thousands of years. Philosophical discussions can sound abstract and aloof, but the core of this kind of thinking is the notion of sound ideas. Sound ideas are the basis for everything Dan does. As long as he knows his principles, he can always take a step back and ask himself if the latest idea, product, or strategy is in keeping with the reasons he started down this road in the first place. Part of that, he says, means mastering your emotions. Dan’s impetus as an entrepreneur seems to come from a mastery of fear. As a kid, he saw his intelligent and ambitious father struggle with a business project that was dragged sideways by partners; Dan decided that he’d never let someone destroy something he’d built, and he already knew he wanted to build something of value. He knew it wouldn’t be easy, but even as a teenager, Dan was already resolute. As an entrepreneur, Dan tells me, you’re going to hit stumbling blocks, and you won’t know how to overcome them at the time. Dan surrounds himself with emotionally intelligent people: mentors, confidants, friends, family, and his team. Maybe it’s a function of Vancouver, he posits: we’re descendants of free-spirited hippies. Regardless, Dan knows that emotional intelligence is a far more important leadership quality than raw IQ. As an entrepreneur, you’re often leaping blindly into new space. “Things can be tricky when you have no template for your vision,” Dan tells me. Emotional intelligence will keep you level, and allow you to grow into the new roles that await you. Now, we’re approaching my territory. Dan isn’t a recruiter, but he has built teams from scratch, and he knows the value of good people. Dan started with a carefully tailored group of specialists, surrounding himself with people whom he trusted not only to build his vision, but to build him as a person. From there, the strength of his team drew in the first new person, who drew in the second, and soon Dan had a brand so singularly principled and constructed that quality candidates gravitated towards him. It all comes down to the early-game, Dan assures me. “Your first 20 employees are the difference between success and failure.” Good talent attracts good talent, and momentum is built. Fortunately, Dan had a talented core team, and now he’s reaping the benefits. “We are outdoorsy people, we’re Vancouverites,” Dan says, citing the strength his team gains from sharing not only a passion and talent for their work, but a fascination for nature. Cooperation and shared vision seem to come easier in this nature-shrouded town. It’s something Dan loves about Vancouver, and something I’ve grown to love too. “We’re incredibly community-oriented,” Dan says. In his experience, everyone wants to contribute to what everyone else is doing, creating a cooperative network that raises everyone up. No one is alone in a silo, working only for their own goals, and this is something we both find incredibly encouraging. I’ve said before that our strength comes from our ability to work together, each doing what we do best to build world-leading businesses; through the strength of our cooperation and the strength of our enterprise, we can build Vancouver into a city that rivals the world. Dan is the sort of person who will make that vision a reality. “Vancouver celebrates the apex of liberalism. It empowers people like no other place,” says Dan. “…We’re not beholden to any trend here.” Dan sees Vancouver’s startup ecosystem as a teenager: “It’s still figuring itself out.” That means we have the opportunity to sculpt a future we want to see. Huge thanks to Dan for talking to me at length about his journey and his ambitions. He’s an outgoing guy who’s always looking for the value in meeting new people (does that sound familiar?) so reach out to him @dsutton1986 on Instagram or Twitter. While you’re at it, be sure to check out the cool things going on at tantaluslabs.com (it’s interesting now, but Dan tells me it’s going to get even more exciting in the near future), and watch Dan’s TEDx talk on how he’s changing the cannabis industry. How important is making a great first impression with your resume? Well, when you consider the volume of resumes recruiters receive, and the fact that they often have a maximum of two minutes to review each one and make a decision, it becomes pretty darn important. Your resume may look fantastic and be free of typos, but did you know that there’s another key mistake many candidates make? In much the same way typos and poor formatting can be a deal-breaker, leaving your audience (the person reviewing your resume) with questions is a big no-no. 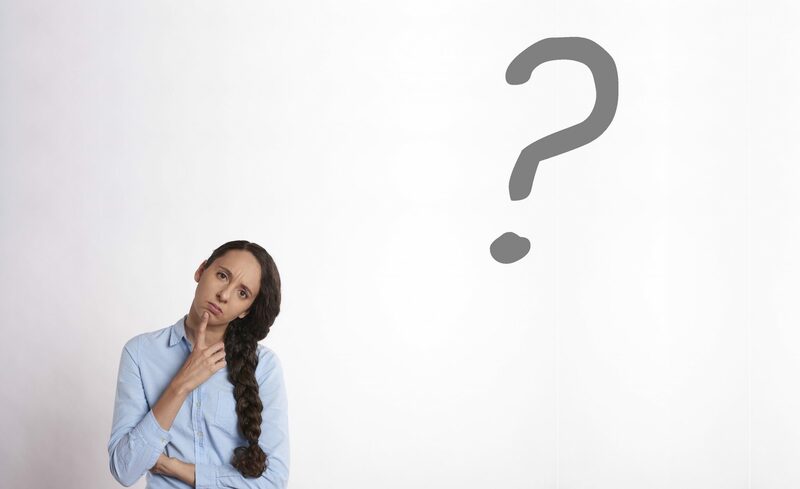 While resumes can sometimes leave recruiters with good questions (“That looks interesting, I wonder if…?”), more often than not, the questions are due to confusion and could ultimately result in your resume being disregarded. Here are some tips on how to eliminate the possibility of unwanted questions arising from your resume. Resumes that look pretty but don’t include information that a recruiter needs to make a decision are not very useful. Your resume should be simple, clean, and well structured. As mentioned above, recruiters don’t have copious amounts of time to spend with each resume, so a format that makes them work too hard to find relevant information could hurt your chances of moving past the first stage of the hiring process. Don’t list every single job you’ve ever had, and don’t list every minor task you were responsible for in previous roles. Think big picture. What are the most important things the recruiter needs to know about you as an employee, and what are the best ways of conveying that information? Avoid using the functional resume format, which lists skills and abilities without including information about your chronological work history, as this doesn’t provide enough information about where you’ve built your experience, and for how long. Read: “Resume Mistakes Accounting Candidates Make, Pt. I” and “Resume Mistakes Accounting Candidates Make, Pt. II” to learn what other resume mistakes you should avoid. Too many resumes include vague statements such as “great communicator”, “fast learner”, and “team player”. This really doesn’t tell recruiters much about you, since most people use these phrases when applying for a job. Instead, opt for brief descriptions about what makes you a “great communicator”, “fast learner”, or “team player” and include specifics wherever possible. The best specific information to include is quantitative. Mention how many dollars you saved with an idea or initiative you came up with, how many clients you assisted on a daily basis, or how many people you supervised to build a clear picture of your strengths and responsibilities. Read: “What Finance Recruiters Look for on Your Resume” for more ideas on how to make your resume stand out. 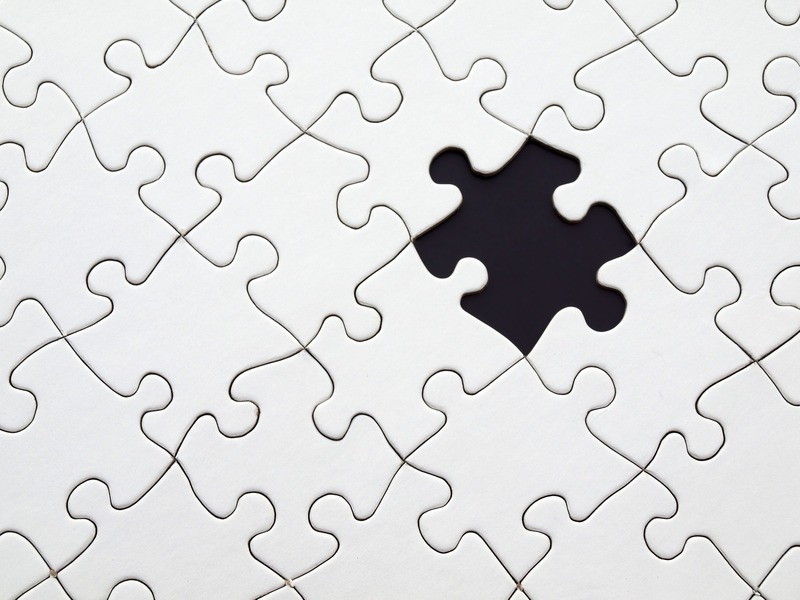 Gaps in a resume will undoubtedly create questions in the recruiter’s mind. If there are gaps in your chronological work history, be sure to address those as much as possible in your resume. Were you taking time off to go back to school? Were you raising a family? Did you have to take time away for a medical issue? Gaps in your employment aren’t always seen as a negative thing if there are good reasons for them. Addressing these clearly in your resume can help prevent any questions about whether you take your employment seriously or are someone who has problems sticking with something. It’s also a good idea to mention any personal or professional development that resulted from your time away from work. If you have worked contract or term positions, these don’t have to be left off of your resume completely. As long as you gained important experience and accomplished specific goals, these can be added along with full-time, long-term positions. Just be sure to spell out why these shorter-term positions are relevant, and specify that they were term positions (so there’s no confusion about why you were in the positions for a shorter period of time). One of the biggest questions you should be trying to answer with your resume is, “How does this candidate’s experience and skill set meet the employer’s needs?” By strategically formatting your resume to highlight the most relevant information, as well as clearly explaining what you bring to the table, you’ll be one step closer to securing an interview. Pinpoint some of the problems the company is trying to solve, or some of the goals they have set, and use the information in your resume to speak to how your presence on their team will serve them well. This requires some research and a willingness to delve deeper into the company’s culture, structure, and needs. Read: “Tailoring Your Resume” to get tips on how to show an employer you’ve done your research and have created a resume just for them. Use a resume format that is simple, concise, and logical. Place important, relevant information strategically to highlight it. Use specific information, especially numbers. Address any gaps in your chronological work history. Describe any personal or professional development that came from your time away from work. Include relevant contract or term positions in your resume. Show that you understand the company’s needs. Have a friend or family member proofread your resume.